1. Show (wherever reasonable in a practical way) that they know the locality surrounding their home and Scout HQ up to a radius of 1 mile in urban areas and 2 miles in rural areas. (The Examiner may at their discretion vary the area to exclude undesirable neighborhoods, parks or other open spaces and include an equivalent area). Doctors, Veterinary Surgeons, Dentists, Hospitals and Ambulance Station. Fire station, police Station, Petrol Station, Public Telephones. Bus stops, Railway Station(s), and routes of buses and trains to surrounding areas. Conveniences and any building or place of local interest. Homes of SM, GSM, and the Scouts in his Patrol. 3. Show that they understand how to use a map of the district and use it to point out at least 6 examples of (2) above. 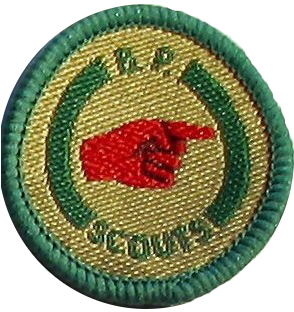 The scout should guide the Examiner to any place covered by the above by the quickest route.